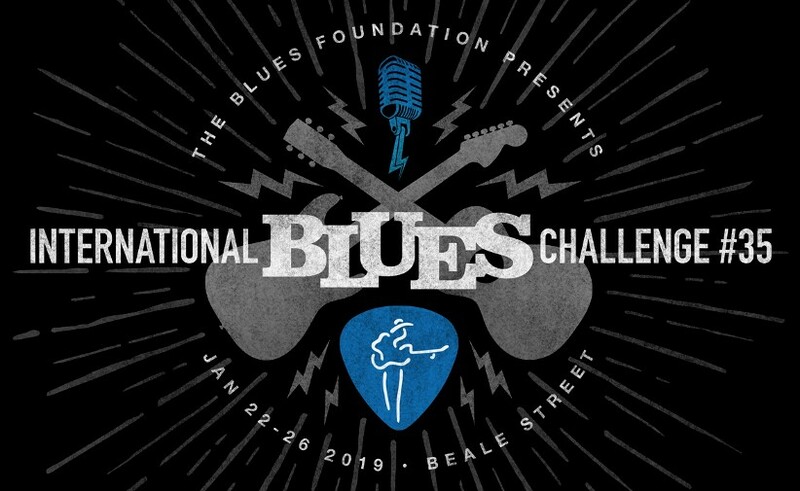 The 35th International Blues Challenge (IBC 2019) will be held January 22-26, 2019 in downtown Memphis, TN, and takes place in the Historic Beale Street Entertainment District. The Blues Foundation recommends that all Affiliated Organizations in their competition use the established scoring criteria. 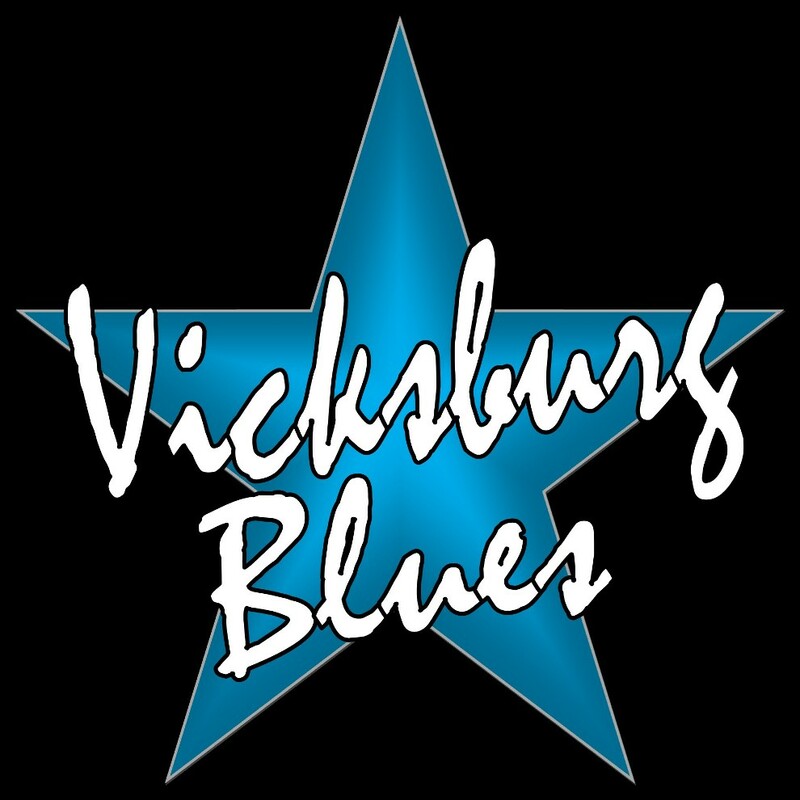 Categories include TALENT, VOCAL, BLUES CONTENT, STAGE PRESENCE and ORIGINALITY. 1. BLUES CONTENT: Everyone has his or her own interpretation of what is and is not Blues. 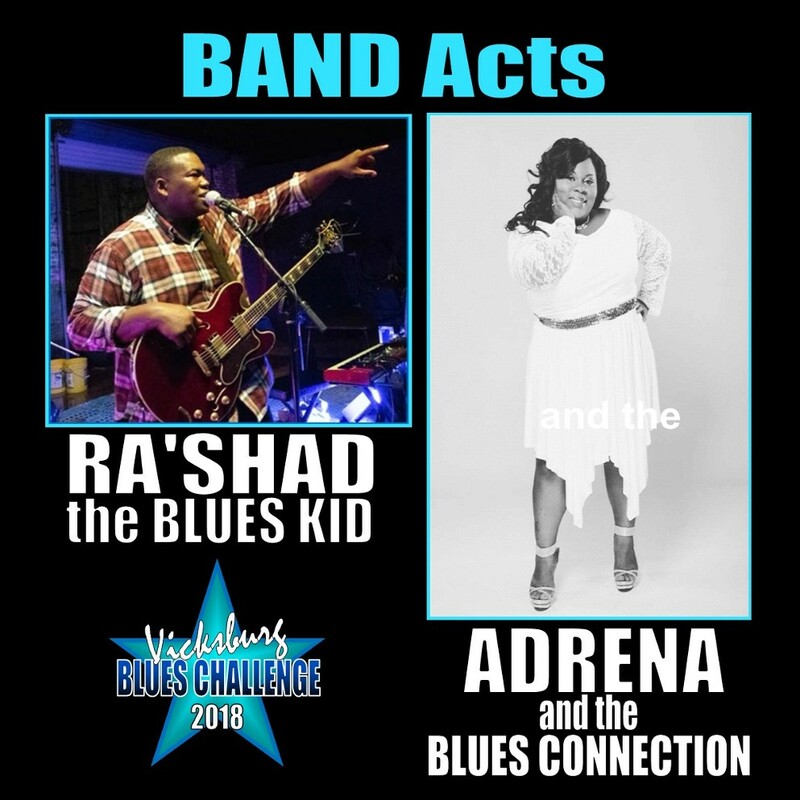 Thus, any given panel of judges will include members with varying opinions of Blues, covering the spectrum of Blues whenever possible, from the most traditional to soul blues and rock blues. Bands should pick material carefully. At the Memphis quarterfinals, semi-finals and finals, the judges are Blues professionals, not a bar crowd, and are likely to be unimpressed with song selections that are uninspired. (Call this--with all due respect to Sir Mack Rice and Wilson Pickett--the "no Mustang Sally rule.") 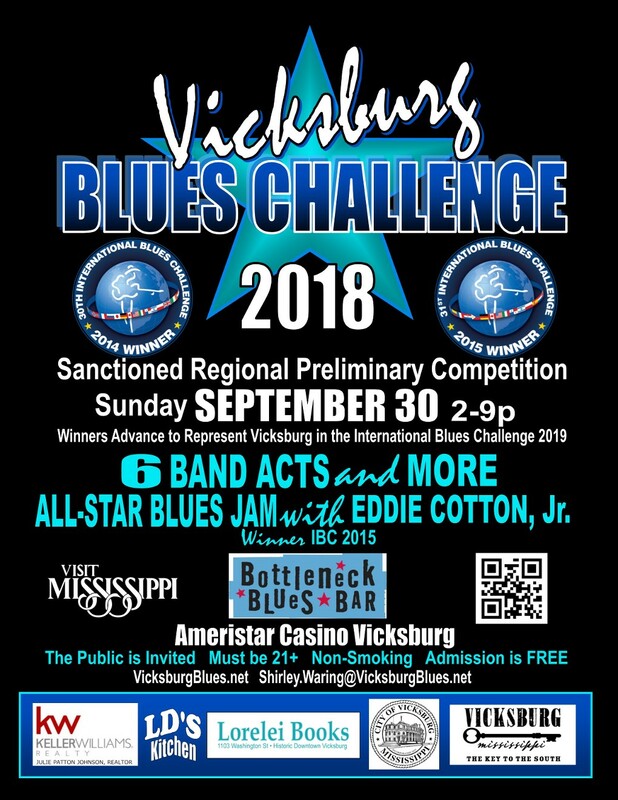 The Vicksburg Challenge, because we are committed to preserving traditional Blues, tends to look more for world-class Blues Acts that base their style heavily on traditional Blues. 2. VOCALS: The Act's vocal skills. 3. TALENT: The Act's instrumental skills. 4. ORIGINALITY: Original work is encouraged. Cover tunes are allowed but playing the recorded rendition lick by lick is discouraged; will not be looked upon favorably by the judges; and will be reflected in scoring. 5. 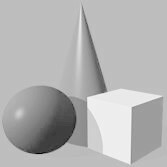 STAGE PRESENCE: Over the years, the quality of talent has risen so dramatically that we no longer consider this an "amateur" competition. Most contestants have performed on stage enough to know that they are not simply playing music, but putting on a show. This category rates how "sellable" a band may be. To reflect the relative importance of each category in the success of a band, a band's score in each category is weighted. Raw scores for Blues Content is multiplied by four, Talent and Vocals by three and Originality and Stage Presence are multiplied by two. The total in each category represents the weighted score for that category. Total possible weighted score is 140. The weighted multipliers will be Blues content (4); talent (3); vocals (3); originality (2) and stage presence (2). A Band is penalized one point from its total weighted score (see below) for each ten seconds that it runs overtime. There is no penalty for using less than the allotted time. At the venue coordinator's discretion, a penalty for excessive time loading-in and out may also be applied. 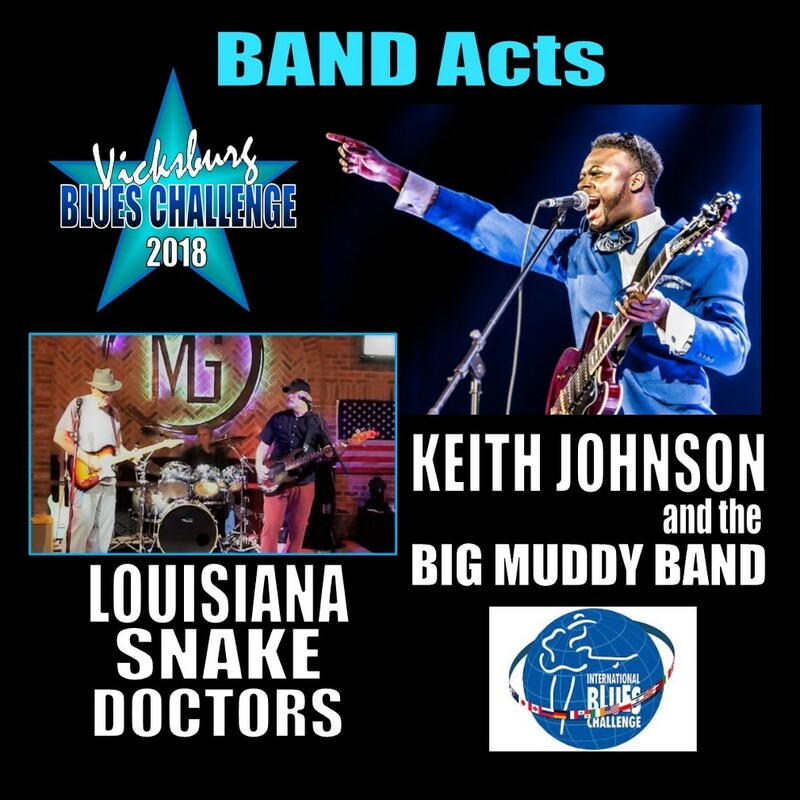 10 Typical of those who play the main stage at major festivals such as Chicago or King Biscuit Blues Festivals. 3. The scorekeeper will multiply the raw score in each category by the established multiplier to get each judge's weighted score in each category for each Act. 4. The weighted scores from each category for an Act are added together to determine the act's total weighted score for each judge. 5. Any penalty points will then be deducted to obtain the act's net weighted score for each judge. 6. After all acts have been judged and each Act's net weighted score for each judge calculated, each Act will then be ranked for each judge based on that judge's order of scores, with the act receiving the judge's highest net weighted score being given a ranking of 1, and so on for that judge. So, in a competition with five Acts, for example, each judge ends up with the acts ranked 1 - 5 based on each judge's personal scoring habits. This results in the Act's final ranking number for each judge. 7. Next, the scorer totals the final ranking number from all judges for each Act to determine the gross Act ranking. That figure is averaged (divided by the total number of judges) to achieve the aggregate Act ranking. 8. 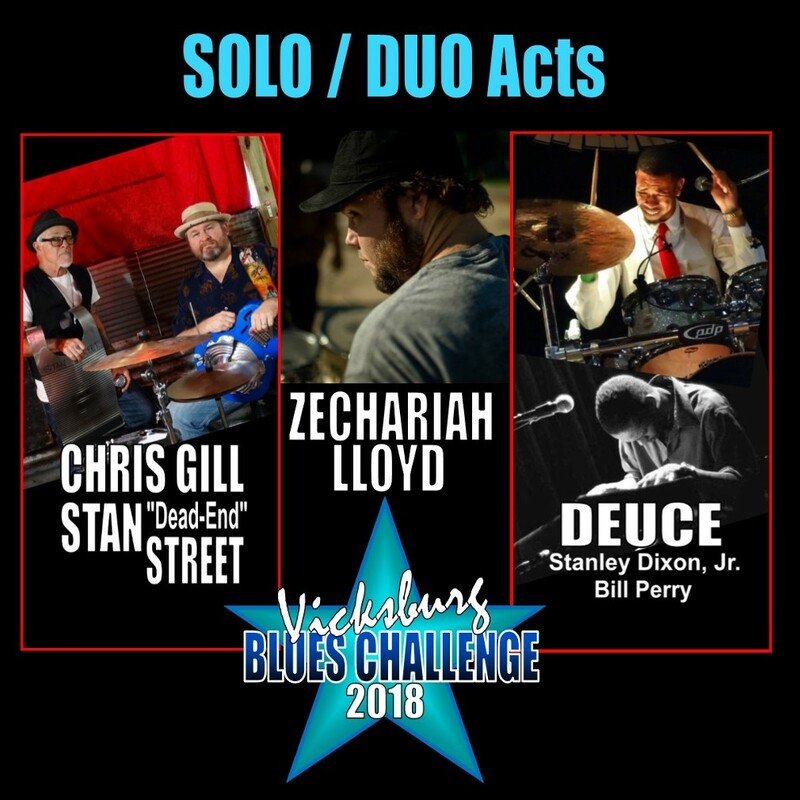 In Memphis, for the quarter finals, in the solo/duo category, the four Acts in each venue with the best two-day total of aggregate act ranking will advance to the semi-finals. In the band category, for the quarterfinals. In the band category, the four Acts in each venue with the best two day total of aggregate act ranking will advance to the semi-finals. 9. For the semi-finals, in the solo/duo category, the two Acts in each venue with the best aggregate act ranking will advance to the finals. In the band category, the Act in each venue with the best aggregate Act ranking will advance to the finals. 10. For the finals, the Act with the best Aggregate Act Ranking is the top finisher. 11. In the case of a tie, the scorer shall calculate the sum of all Total Weighted Scores from all judges for the tied Acts. The band with the higher sum of Total Net Weighted Scores wins.